We finally got some rains on the sunny coast last week which has given the rivers a little flush. This has dropped the salinity and has seen some amazing flathead landed throughout the lower estuary to over a metre in length. These fish have been taking a wide range of soft plastics in the 3 inch range including power bait minnows and nemesis plastics. The new Zerek Tango Shad hardbodies are claiming a few fish, as are new Daiwa double clutch lures. For those anglers using baits then whitebait, prawn and pilchard baits work very well on running sinker rigs. If targeting the bigger fish be sure to up your leaders to 12lb or even use a small bite leader in clearer waters. The river mouth and various drop offs and sandy banks around the dog beach, frying pan and Lake Weyba are showing signs of a cracking whiting season with fish over 40cm caught. The best baits are fresh live yabbies so be sure to grab a bait sieve and check your pump washers as we stock these. If lure fishing then break out your 1-2kg gear and go light! Whiting pack some great turns of speed and will leap out of the water when hitting small surface lures and poppers. These fish are also hitting small shallow hardbodies so be sure to have Bassday Sugapens, Atomic K9 walkers and river 2 sea baby bells in your gear box. 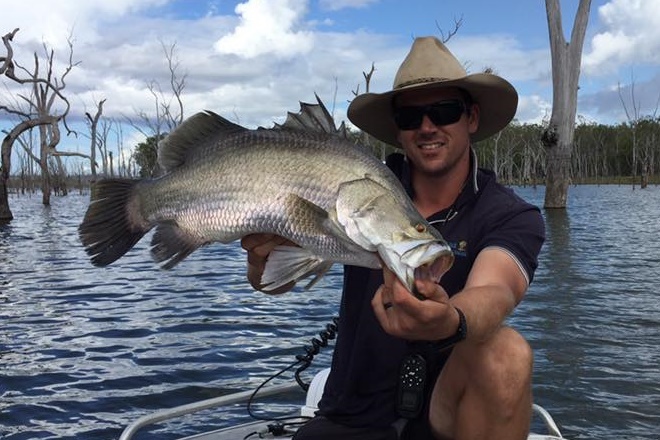 Mangrove jacks are really heating up between the lakes with some great fish up to 47cm caught on deep diving lures cast into the snags. Be sure to use ultra-sharp hooks and carry a hook file as you don’t want to miss a fish to dull hook points. Running heavier lines and leaders is essential for turning these brutes of the mangroves. Offshore we have had some lumpy conditions with stronger SE winds and over a meter of swell which saw only bigger boats head out. Those that made the trip went out to Double Island for snapper, cod, cobia, moses perch and scarlet sea perch. North reef has been holding smaller snapper, grassy sweetlip, cobia, pearl perch, venus tusk fish, longtail tuna and estuary cod. 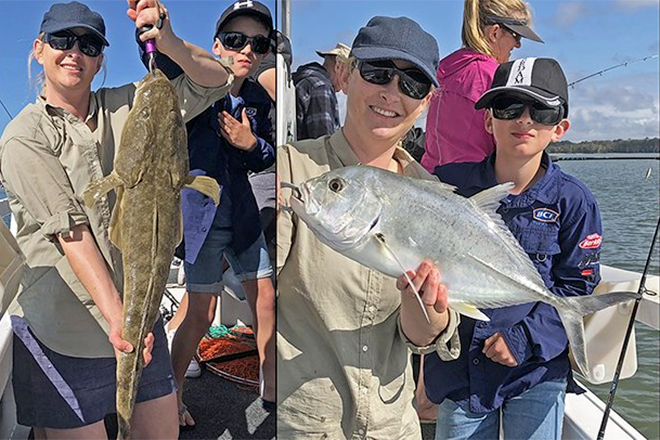 In closer Sunshine Reef has been fishing well with snapper, sweetlip, pearl perch, coral trout, mixed cod species and the occasional bite off from solo spanish mackerel. As we move into warmer weather and water it is still a great idea to run a solid burley trail as mackerel will often follow these as do big cobia and snapper. Surf fishing is still a great option with light swell hanging around. We have seen some great Jewies landed around Yaroomba and Point Arkwright. These fish taking beach worm and tailor filets. If using worm be sure to use Tru-Turn worm hooks as these are designed to hold worms and have an extra-long shank. 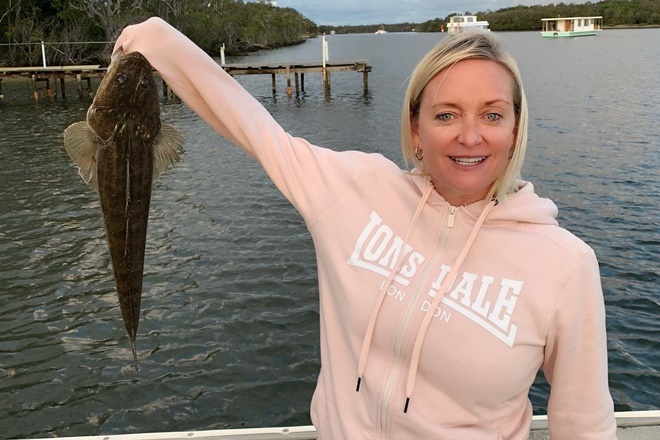 If fishing lighter gear the river mouths of the Maroochy and Noosa rivers are holding good numbers of whiting. These fish are taking a wide range of baits including worms and prawns and even squid. In the gutters you can expect to find smaller bream, whiting, dart and flathead. Lake Macdonald has been fishing well with the deeper waters around 3-ways and the bubble trail holding fat fish in the mid 30cm mark. These fish are taking vibes and blades slowly hopped along the bottom. Take Ecogear ZX45, Jackall mask vibes and OSP bent minnows to throw at Saratoga in the shallows.